A multi faceted business requires a multi faceted payment-processing provider. Having the confidence to run a business that has a number separate facilities is hard to do, but having a supportive partner to help with your reporting and monthly statements provides that confidence and much more. It also doesn’t stop at just payment processing, gift and loyalty programs that are integrated into a point-of-sale terminal creates a customer experience that is important in any industry. 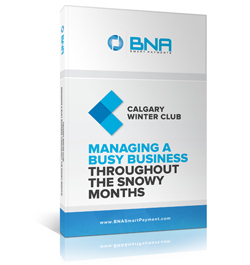 Take a look at what Calgary Winter Club has to say about BNA Smart Payments.